Skitter, Inc. has filed a provisional patent application for an invention that brings variable bitrate (VBR) video streaming to multicast IPTV and Internet TV environments. The invention, called Prioritized VBR (PVBR), allows service providers and entertainment content distributors to take advantage of the reduced bandwidth requirements of VBR video streaming while achieving significant improvements in video quality, more reliable IP delivery and greater control over quality of service. Skitter's Prioritized VBR technology is now available in the second generation of company's Acclaim family of live MPEG-4 video encoders. Acclaim video encoders are a part of the end-to-end Skitter.TV hybrid IPTV/OTT video platform, and can also be used as a stand-alone solution for live streaming of Web video and in other IPTV installations. In IP video streaming, variable bitrate transmission is primarily used for on-demand viewing of pre-recorded content in unicast scenarios, where interruptions in the video playback and some degradation in video rendering are more tolerable for viewers than with live broadcast programming. Service providers rely on VBR streaming to manage network capacity for the thousands or even millions of individual video streams delivered on-demand. In multicast delivery, where large audiences are watching live programming simultaneously, IPTV operators and content delivery networks rely on constant bitrate (CBR) streaming to control the demands on network capacity. However, CBR delivery can result in degradation of video quality and higher demands on network capacity overall. Skitter's patent-pending Prioritized VBR approach allows service providers to control the flow of video packets from a VBR stream, resulting in a consistent video stream that greatly reduces the demands on network capacity, provides greater control over quality of service, and improves network reliability. "Prioritized VBR is a new method of streaming video that maintains the compression benefits of variable bitrate video while still being able to transport the streams as if they were compressed in a constant bitrate," said Mark Sauer, Skitter, Inc. managing director and senior fellow, and one of the inventors of PVBR. "In essence, Prioritized VBR gives operators the tools they need to manage quality of service on a stream-by-stream basis, and to continually monitor and adjust the bitrate to network conditions." Skitter's Prioritized VBR invention adds rate shaping features to the Acclaim video encoder that allow the operator to choose the average bitrate of individual VBR streams and to cap the peak bit rate at a hard limit that will not exceed the capacity of ADSL network switches. PVBR also greatly reduces buffering requirements, virtually eliminating interruptions in video stream delivery. In addition, PVBR offers a side benefit for managing network security, preventing bursts in VBR bitrates that can be misidentified as a broadcast storm, causing the network to invoke security measures. "ADSL networks have an absolute upper limit for bitrate transmission, no matter what kind of data is traveling across the network," said Robert Saunders, Skitter, Inc. president and co-founder, and co-inventor of PVBR. "Our new Prioritized VBR capabilities ensure that video's impact on network capacity is minimized, video quality is consistent, and network performance is more manageable." "Prioritized VBR is a breakthrough that can benefit anyone in the business of streaming media, including telecom service providers, Web video publishers and other entertainment content distributors. Consumers generally have more patience with video that pixelates or freezes when they are watching on a computer screen, but the expectations of quality of service are much higher when it comes to the television set," said Laura Tanner, vice president of marketing for Skitter. "As more and more viewers enjoy over-the-top Web video on their TV screens with Skitter.TV and others, quality of service must compete with the uninterrupted live broadcasts we're accustomed to watching. 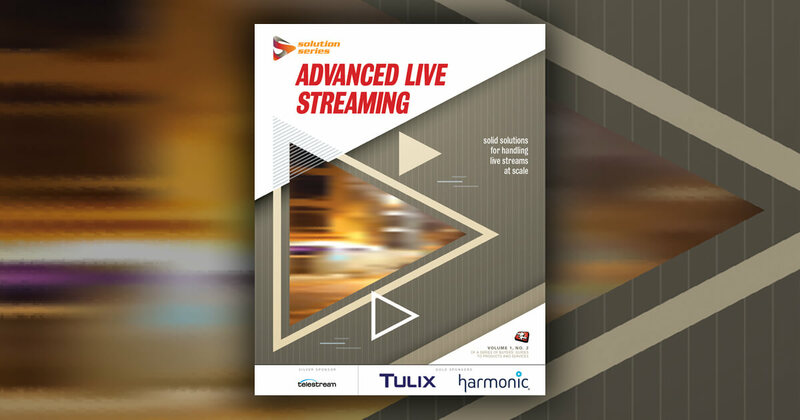 Prioritized VBR streaming can better meet those expectations while helping the service provider succeed with a media streaming solution that is more efficient and consistent." Skitter.TV's Acclaim video encoders will continue to support CBR video streams for service providers whose infrastructure requires it. The encoders offer live MPEG-4 H.264 AVC video encoding from 480i standard definition to 1080p high definition. ATSC and NTSC receivers are built in, reducing costs and complexity, streamlining signal routing, and simplifying head-end redundancy planning. The standards-based encoders are designed to achieve an extended return on investment through continuous upgrades and enhancements as advances in audio and video compression are achieved. The Acclaim Duo is a dual-stream HD/SD live video encoder in a single 2RU box. The Acclaim SD provides standard definition video encoding. Skitter.TV is a hybrid IPTV/over-the-top video platform enabling telecom service providers and entertainment content companies to encode, configure, deliver and monetize streaming media services. Skitter.TV provides a broadband media experience on computers, televisions, mobile devices and gaming consoles. The end-to-end video and audio solution includes head-end hardware and software for integrated Web video, live (linear) cable network and broadcast TV, digital audio, and video-on-demand content, delivered over IP via DSL, fiber optics or wireless networks. Skitter.TV's end-user software and program guide offer consumers premium-quality high definition (HD) or standard definition (SD) multiscreen entertainment service that combines live TV, over-the-top Web video, on-demand content, digital audio and apps, all in one unified, remote-control-driven environment. Skitter, Inc. is a converged media technology company based in Atlanta, GA. Its founders have a combined experience base of more than 50 years in computing, telecommunications and Internet technology and more than 30 years in video technology, including numerous patents in video compression. For more information, visit www.skitter.tv.